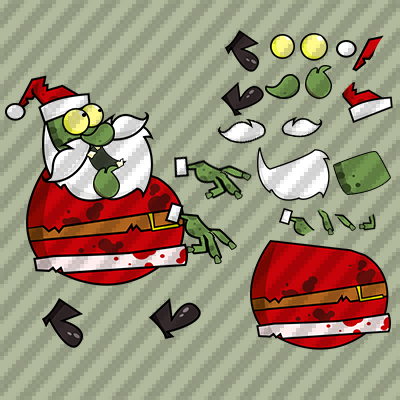 CreativeGameArt- is a independent seller of some creative game graphic assets expertise in creating game assets, characters, sprites, game backgrounds, game ui, and more. 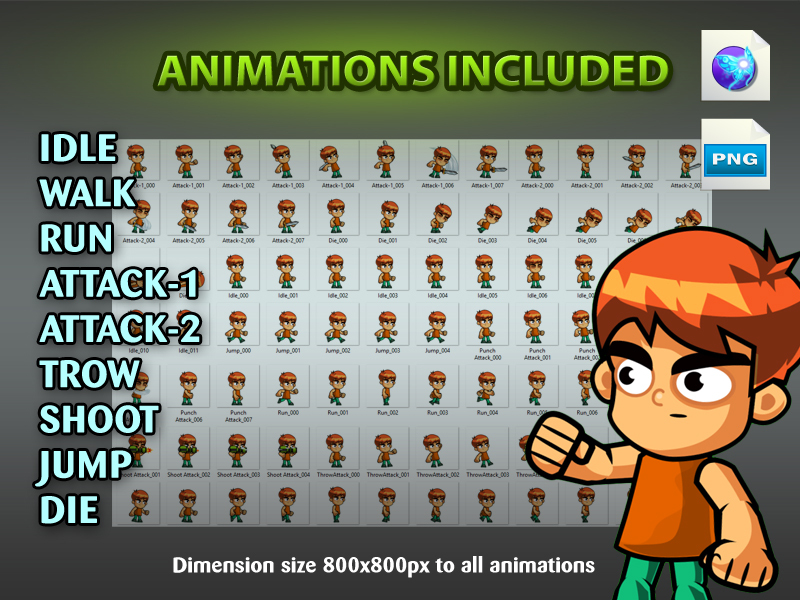 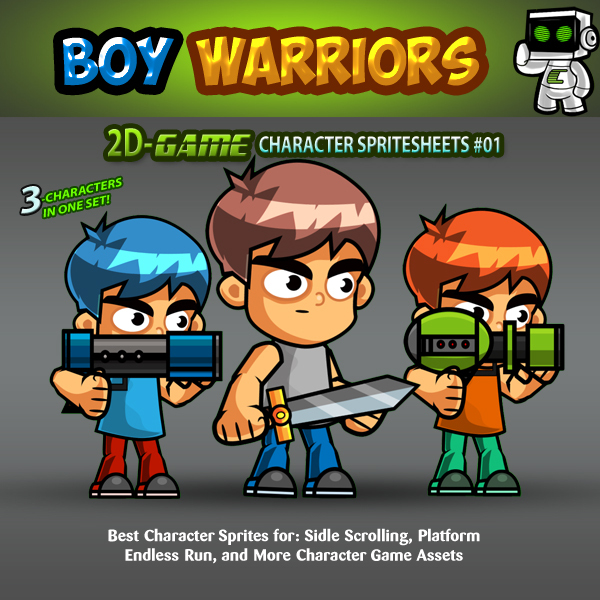 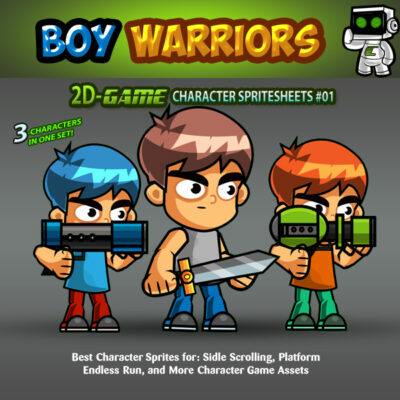 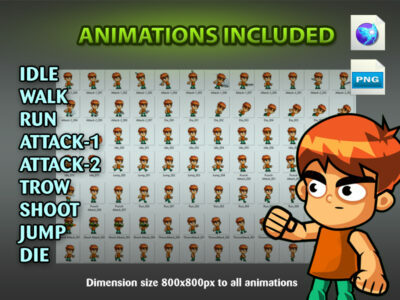 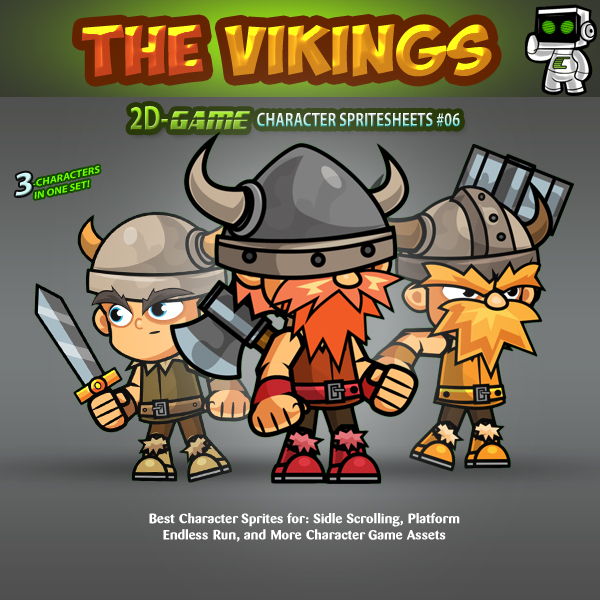 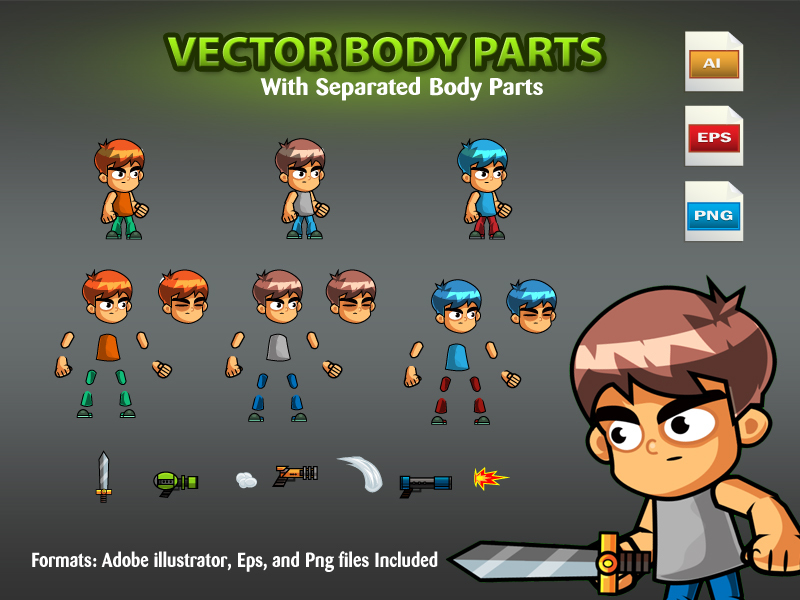 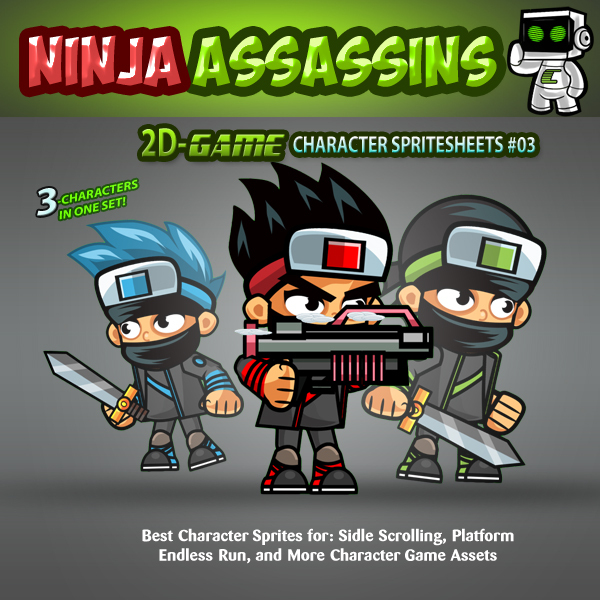 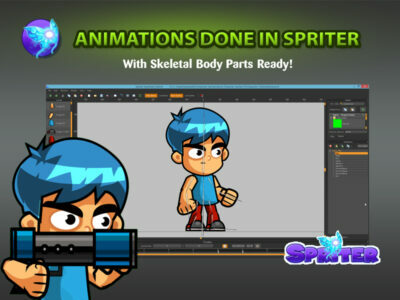 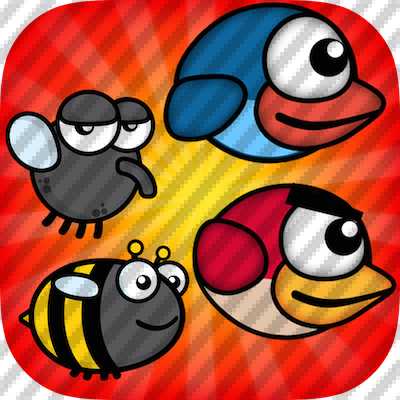 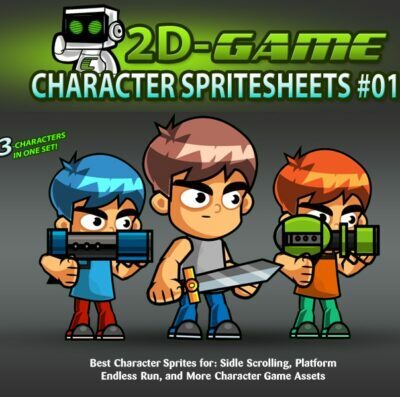 Get 3 Awesome 2D Game Characters as a Characters for your games. 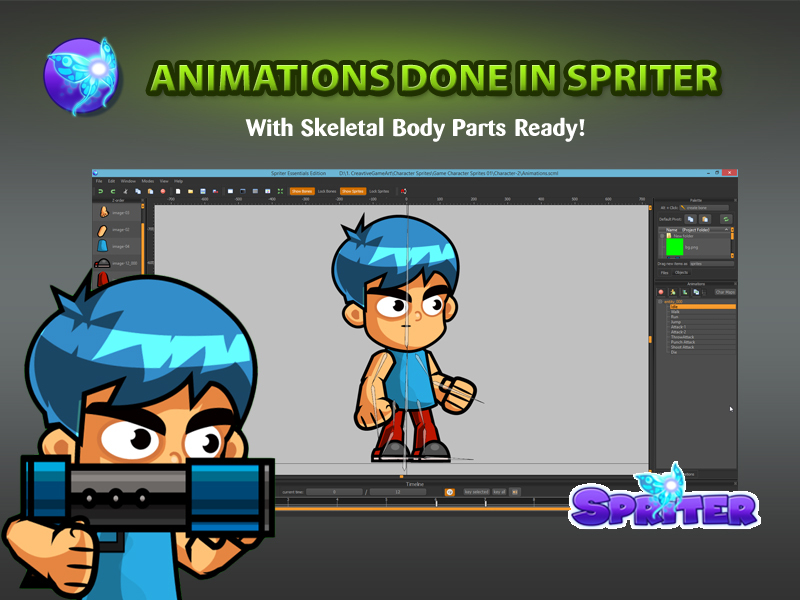 All Spritessheets are Rendered in High Resolution png image with the dimension of 800x800px and properly aligned for each animations.